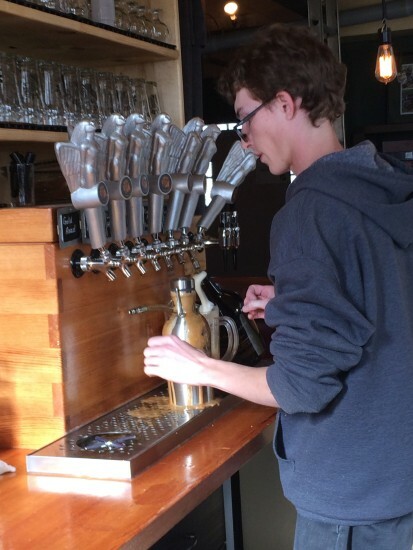 Mother Road Brewery: Straight from the source. For this week’s Six Pack, I’m sipping on Mother Road’s Roadside American ale, picked up straight from the source in downtown Flagstaff last weekend. In lieu of the usual cardboard-bound bundle of bottles or a sixer of cans shackled in plastic rings, I filled up a stainless steel growler (one liter), which, even though it’s about half the amount of an actual six pack, it’s doubly drinkable. See the pic above. There are at least six taps there, yeah? Yeah. Cool. Now, on to business. Between Frostbike, NAHBS, a whole bunch of weird new products and, of course, this weekend’s Sedona Mountain Bike Festival, it’s been great Week in Bike. We’d need to call this “The Case” if we were to cover it all. We took last week off to drink about some upcoming posts and projects that are sure to tickle your fancy. Let’s March right into it. Take this as a cautionary tale. Occasionally*, Drunkcyclist gets heated feedback for espousing an activity as reckless as cycling intoxicated. How irresponsible! The irony of this website, however, is that we must be seated in front of a computer, nearly prone, like the devolved Neanderthals that we are, to post such imprudent drivel. 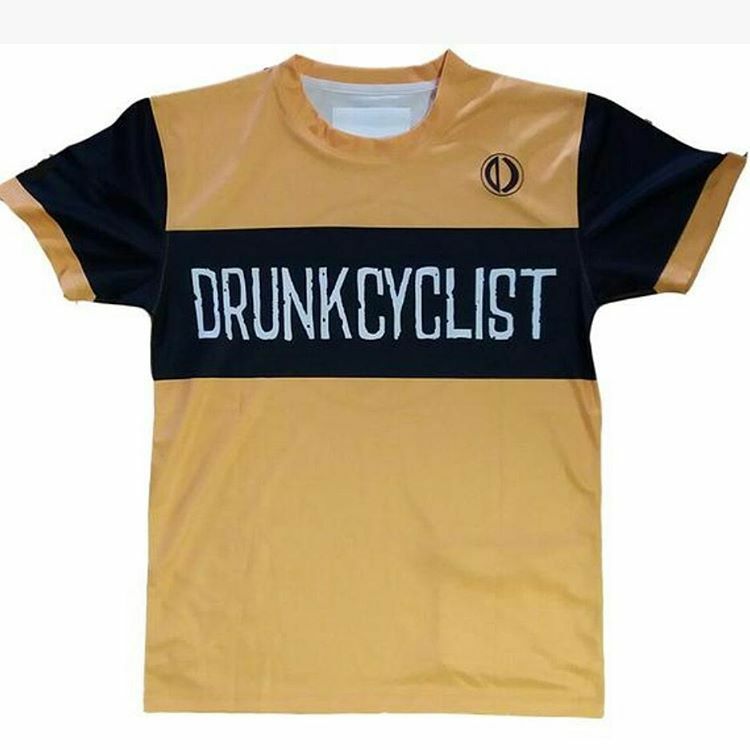 The most extreme riffs on drunk cycling are, indeed, the most sobering. Coming at us from Nevada City, CA. At approximately 11:40 AM today [March 1] Mr. Robert Sponder, a 49-year old Penn Valley resident, was riding on a Trek bicycle westbound on Boulder St., just west of Red Dog Rd., heading toward Nevada City. He was wearing a bicycle helmet, although it is unclear if it was sized correctly or properly worn. Due to a high level of alcohol intoxication, Sponder was unable to safely ride a bicycle and overturned toward the left into the roadway. As he fell forward he struck his head on the asphalt of the westbound traffic lane. He sustained major head injuries. This isn’t the kind of riding we’re out to promote, condone or mock. You wanna have a few beers after your ride? Maybe hit up the bar for a round and pedal it home? Cool. But if you’re in a situation where you’re deeply intoxicated, falling down and critically injuring yourself, man, get help. That’s not what DC is about. We say “rubber side down” to each other for a reason. We hope Mr. Sponder pulls through. As roadie pre-season wraps up, we’ve got another installment of Support Vehicle Hitting a Racer. 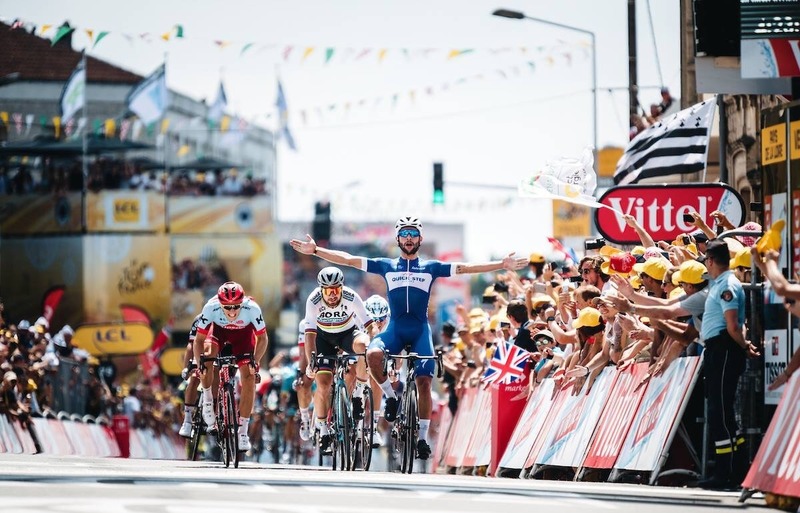 A passing medic motorbike swiped the team Lotto-Soudal Belgian cyclist in the final 35km of Belgium’s semi-Classic race. The team reported that he was taken to the hospital and suffered a fractured right collarbone, a rib fracture and a bruised hand. He will undergo surgery this evening. 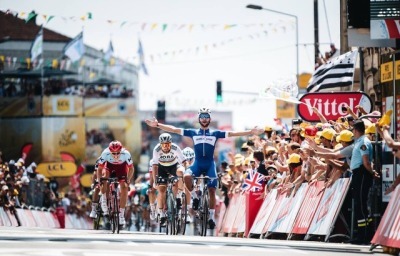 It follows several car and motorbike incidents from 2015, including those in the Tour of Flanders, Tour de France and Vuelta a España. I’m wondering what the equivalent of this would be in a mountain bike race. A deer running through the woods taking out a rider? What about cyclocross? Getting beer thrown in your eyes? Can’t imagine getting taken out by anything other than another rider on a velodrome. What say you, DC faithful? Let this be a teaser for Dirty’s coverage of all things North American Handmade Bike Show. Check back on the big yellow page for a full report. Beer 4: OMG Shoes (made with bike tires)! 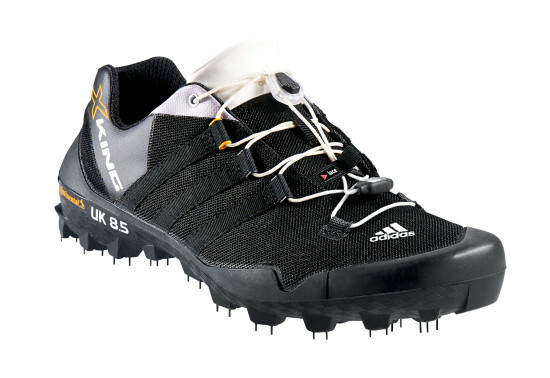 Last year, adidas teased its new Terrex X King trail running shoes made with and inspired by Continental rubber compounds used in the X-King tire. I mean, normally I’m given to making fun of something like this. What is it about these shoes? 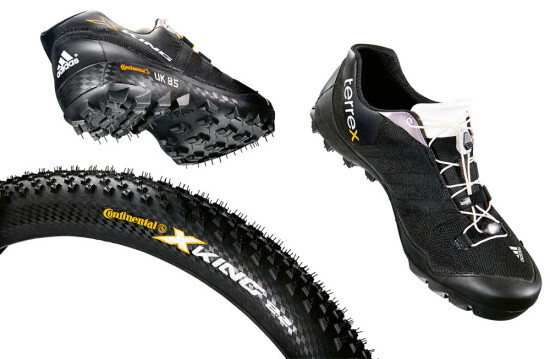 The way the sole looks like, well, a Conti mtb tire, the way the tread eschews the typical chevrons and knobs of a trail shoe and instead looks exactly like a tire, complete with those little rubber whiskers I love to tear off new rubber. 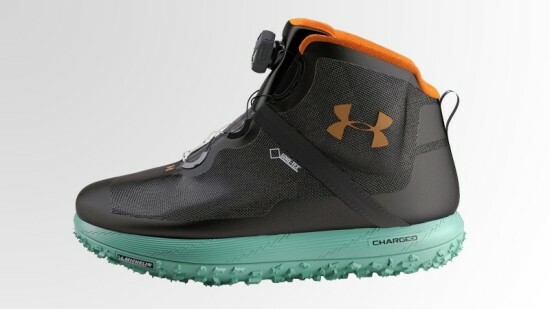 These were announced last year by adidas, a company that’s no stranger to cycling footwear and apparel. And you know, the Terrex shoes don’t look that bad. I’d actually revel in a chance to wear this kicks and run from something. They wouldn’t get a flat, either. But at $165, I’d rather have dozens of Jumbo Jacks — some to eat, others to throw at you from the trailside while dressed as a gorilla. On rock, the “mountain bike” rubber gripped well though not extraordinarily different from other sticky rubber. But the extra-large lugs dug in for traction as I paced a swampy few miles through a Florida state park. Rather do it on a bike. Now this is interesting. A mainstay of the automotive world, a pioneer in advanced manufacturing, and the only U.S. automaker to not take a bailout during the great Recession (an is arguably stronger for it), Ford won a patent for an automatically deploying kickstand that I’m still trying to understand how it works. Sounds like a Drunkcyclist could use such a device, amirite? Just kidding, putting my foot down isn’t that hard. This would, however, be sweet for a disabled or injured rider. And it signals that even a legacy automaker is poking into the realm of cycling. This isn’t Ford’s first time — the company also filed a patent last year for an electric unicycle fashioned from a car’s rear wheel. Let’s bring it back down to earth here. 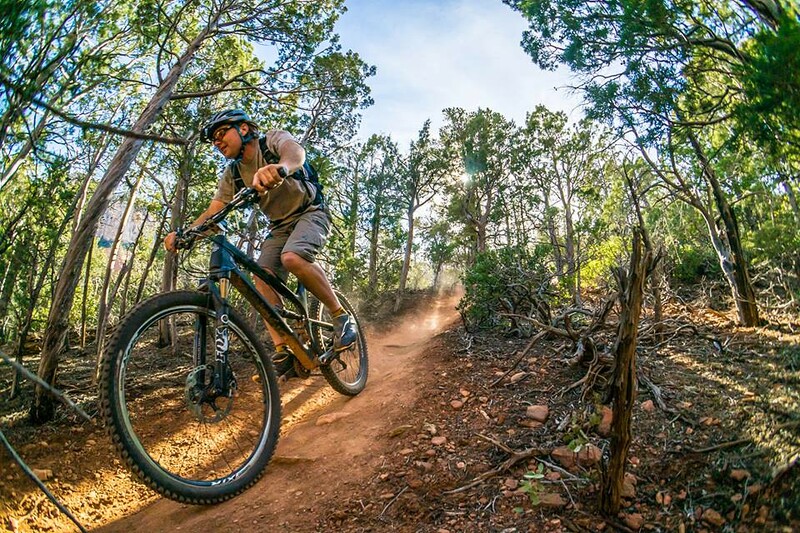 This weekend, our homies in the mountain biking red rock mecca are hosting the second Sedona MTB Festival. Go. We’ll be there. Sniff us out. Full intel on the festival’s homepage, and up-to-date rundowns of the bikes that’ll be on hand are on Facebook. Bottoms up. Rubber side down (we mean it). See you next week. This entry was posted in Cycling, The Six Pack and tagged adidas, crashes, ford, nahbs, sedona, six pack by Wrighteous. Bookmark the permalink. I went to NAHBS this year and filled my heart with desires that my wallet can’t deliver on. While there oogleing bikes and gear I see a guy sitting on the floor drinking an Oskar Blues “Old Chub” in the Industry Nine booth. I think to myself, “this guys got good taste in hubs and beer.” While looking at their shiny stuff I creep over and get a look at the badge around the guys neck… “MEDIA: Drunkcyclist.” Lo and behold I meet one of the people who writes my favorite blog. Dirty was a lot cleaner than I expected. Maybe I just caught him on the right day.